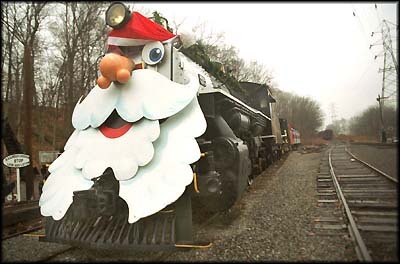 Hanover - (right) Decked out in its Christmas best, the 4039, a 135-ton steam locomotive, sits on a siding at the Whippany Railway Museum on Saturday December 15, 2000. 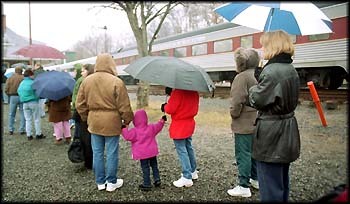 (below right) Despite a steady rain, families line up to board the 45 minute Santa Train Ride from Whippany to Morristown. We invite all readers to suggest related links or public information that will inform and improve the content of our pages. Enter Key Word (s) To Search Our Site, It Works Like Alta Vista But Faster. 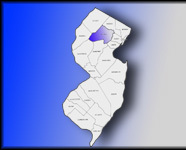 All Photos and pages Copyright 2000 - 2009, NJ Counties Online, Inc. 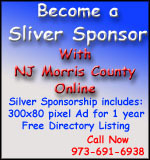 Web Page designed and built by NJ Counties Online, Inc.